Spacious 4 bedroom, 3 bath home (2 master bedrooms) nice floor plan with lots of living space. Fenced in back yard. PETS WELCOME YEAR ROUND - PET FEE REQUIRED. Inquire about heated POOL Privileges. 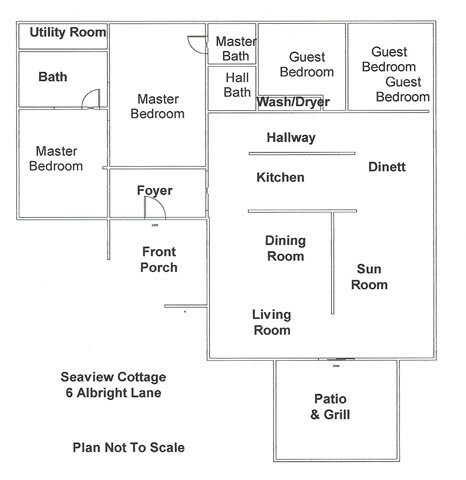 Please contact me with information regarding Seaview Cottage.